My home patio is always filled with different colors of life. We have long family gossips there, we mostly serve our meals out there. And we have some celebrations and parties organized right there. So the patio is very important place for me and for the entire family. So I just planned to make this important place more important and make it look charming and delicate. 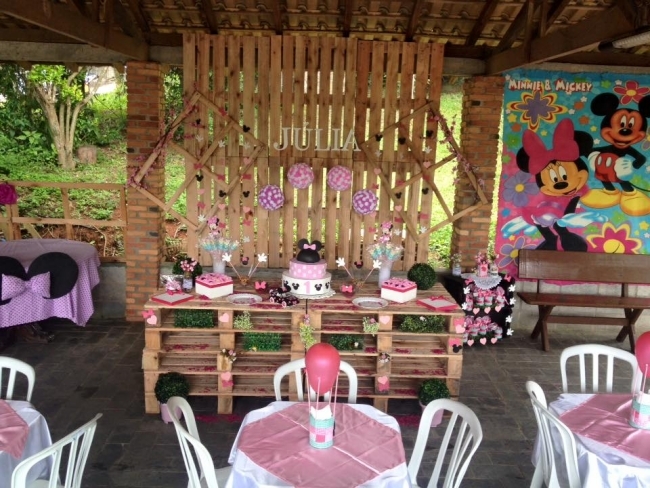 So here we are going to present you some awesome pallet wooden patio decorations. They would really be an inspiration for all the pallet lovers out there. First of all have a look on the wall in the back ground. This can not be named as an accent wall though as it is not a proper wall, but wooden pallets are just erected in a way that they look like a wooden accent wall. It is making the appearance of wooden pallet more louder and appealing. We can see that some sort of celebration or birthday party is going on. 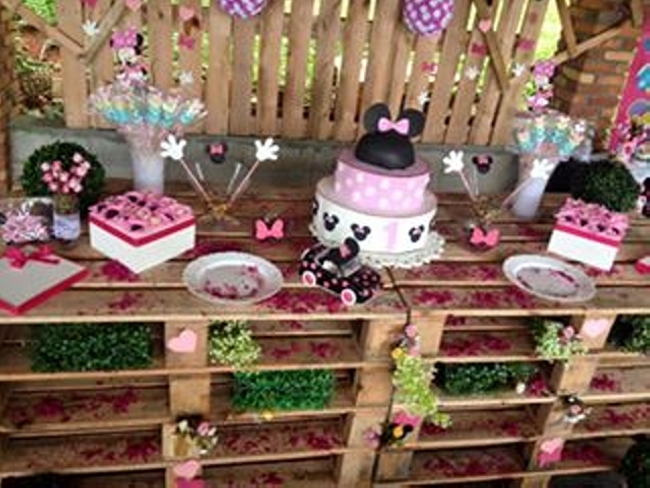 And here right in the middle of the venue we see a number of wooden pallet tables all enjoined together are carrying the party cakes. These pallet tables are adding more charm to the venue for sure. 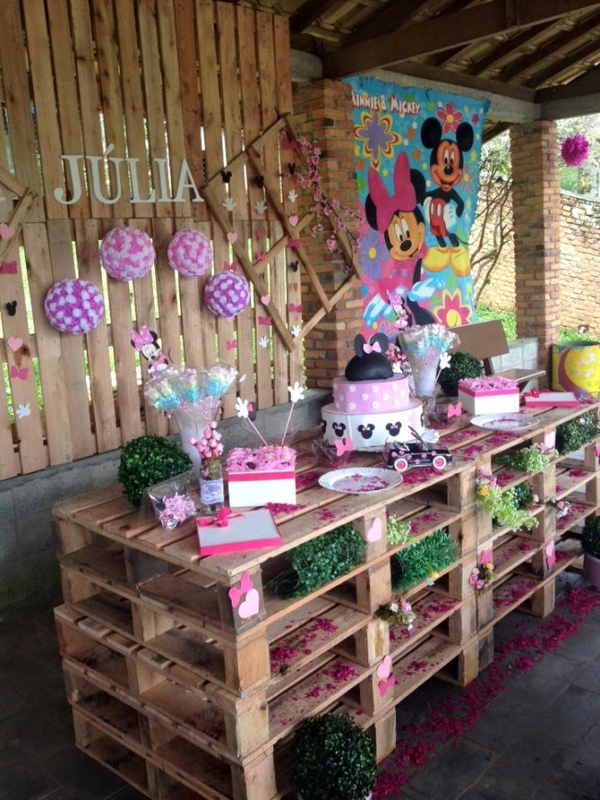 Here in the picture we see a number of things that are upcycled with the wooden pallet. This huge pallet wood table, pallet recycled wall and a couple of benches in the surrounding. 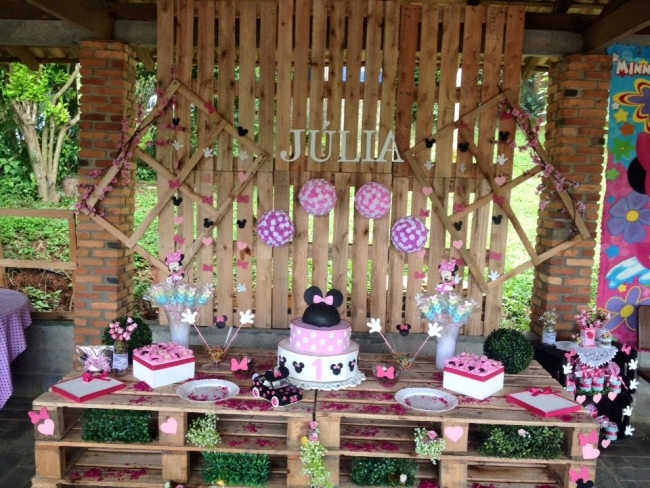 The whole celebration atmosphere is created with the help of raw pallets being used in the tables and rest of patio items. 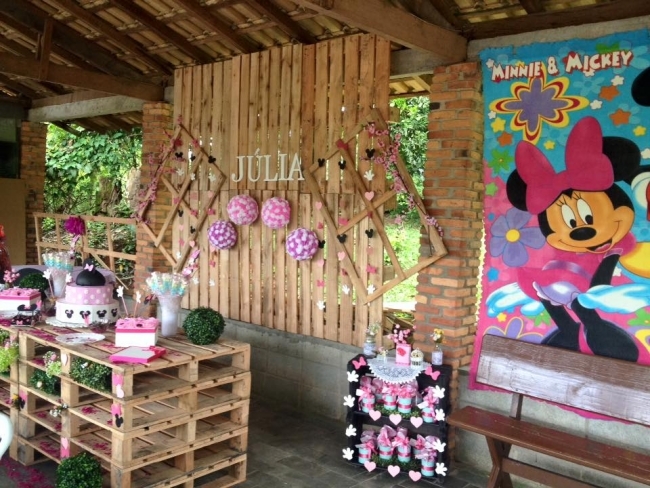 Rectangular wood pallet frames hanged right above the balloons are adding a lot to the beauty of venue. Infact wooden pallets have created a rustic intoxicating atmosphere here that would certainly be appreciated by every one present here in the patio.